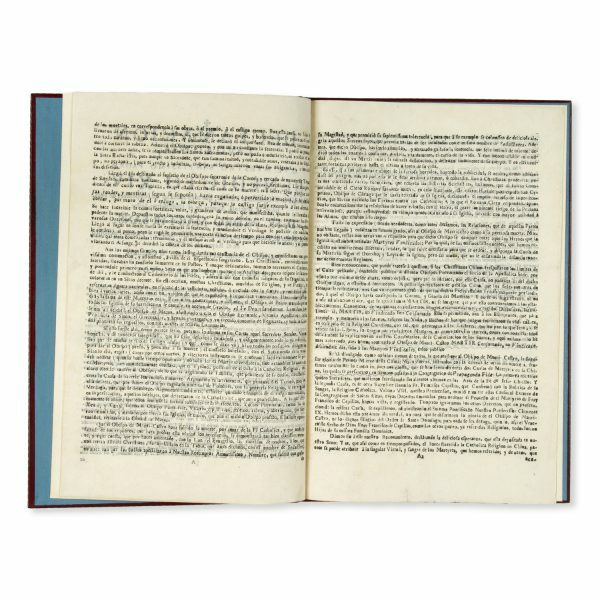 pronunciò en el Consistorio Pùblico, que tuvo el dia 16 de Septiembre de 1748 sobre la preciosa Muerte de … Fr. 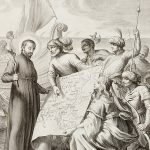 Pedro Martyr Sans, de el Orden de Predicadores, Obispo de Mauri-Castro, y Vicario Apostolico, en el Reyno de China. Traducida fielmente del idioma Latino, al Castellano. 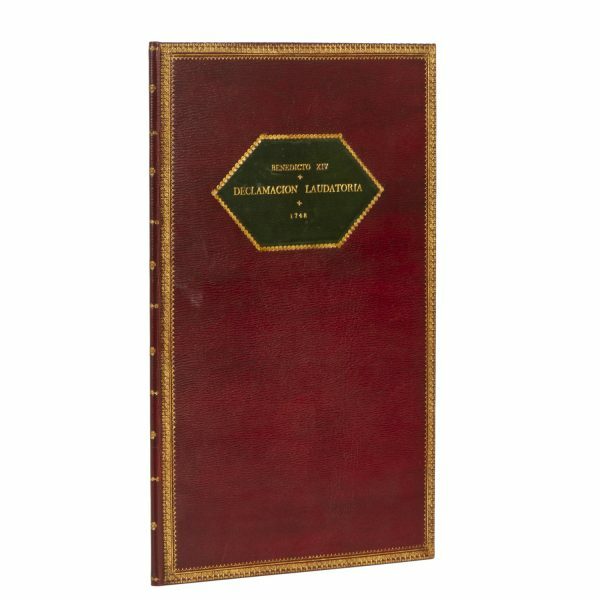 Folio, modern full red morocco, gilt, with contrasting morocco title label lettered in gilt to upper board; silk endpapers; ff ; cross at the head of text; printed on rice paper. 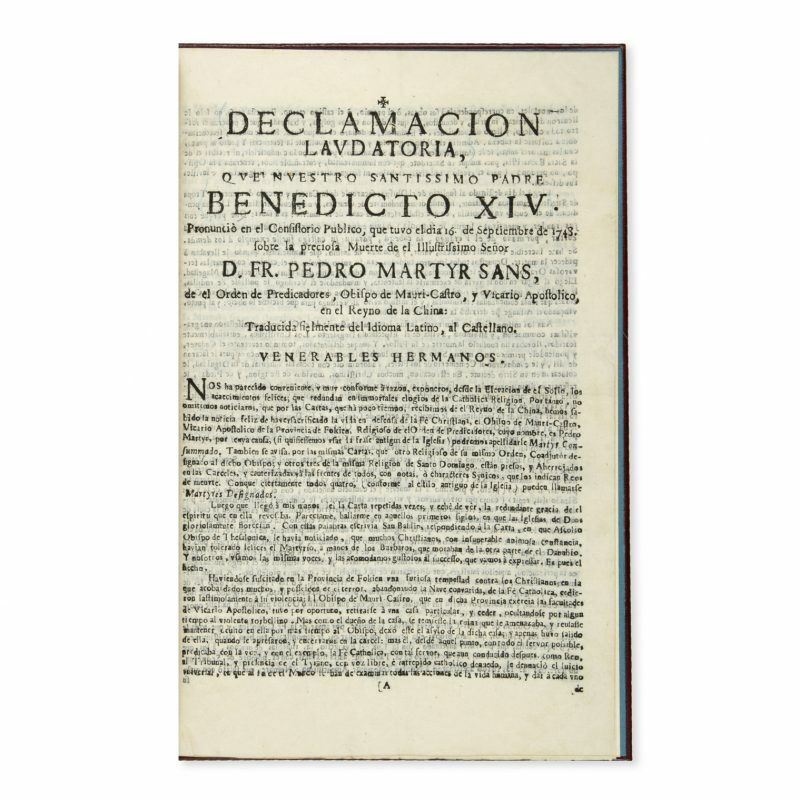 A rare copy of the Manila printing of the Spanish translation of Benedict XIV’s panegyric for the martyred Spanish Dominican missionary Pedro Sanz y Jordá, also known as Pedro Mártir Sans (1680-1747), vicar apostolic of Fujian. 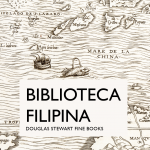 Sanz, along with his martyred Spanish companions Francisco Serrano, Joaquin Royo, Juan Alcober and Francisco Diaz, had been sent to China from the Dominican province of Santísimo Rosario de Filipinas. 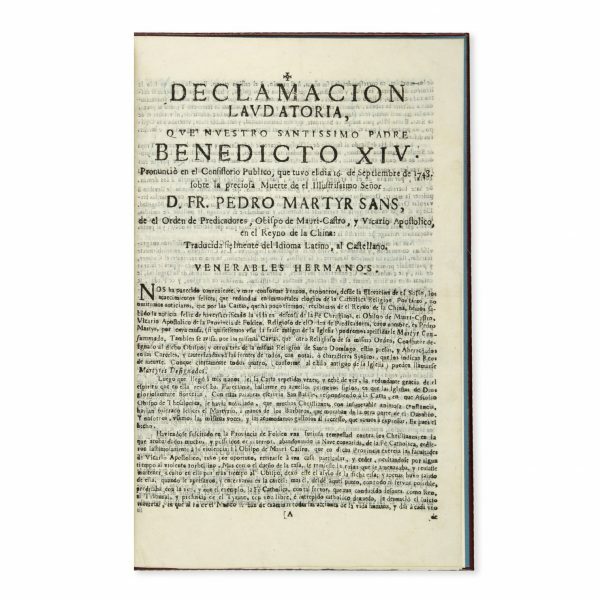 It was therefore highly appropriate that Benedict’s encomium of these missionaries be published in Spanish in Manila. 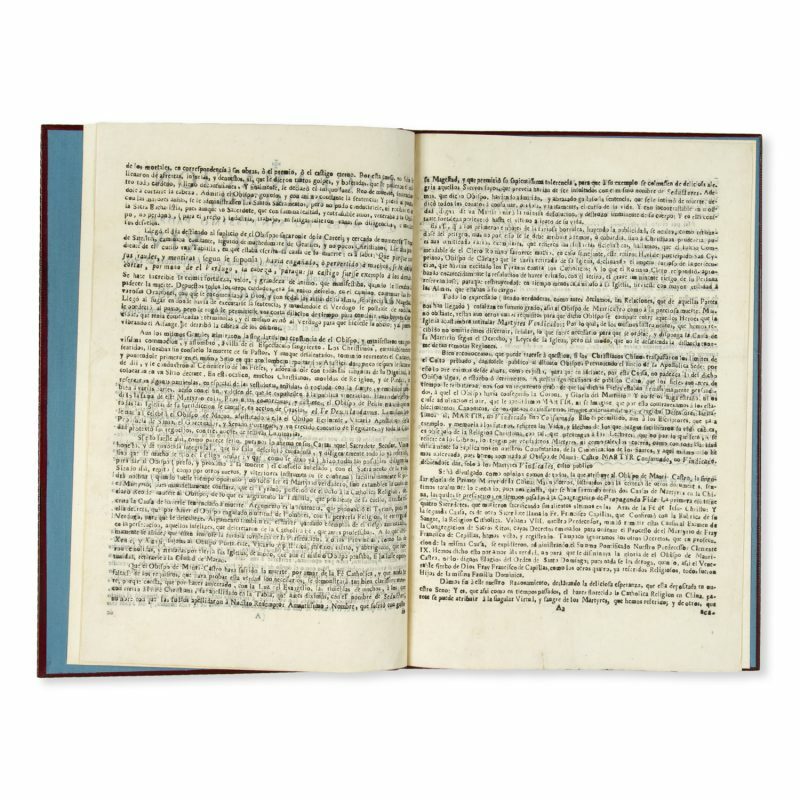 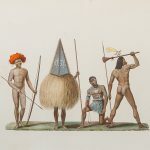 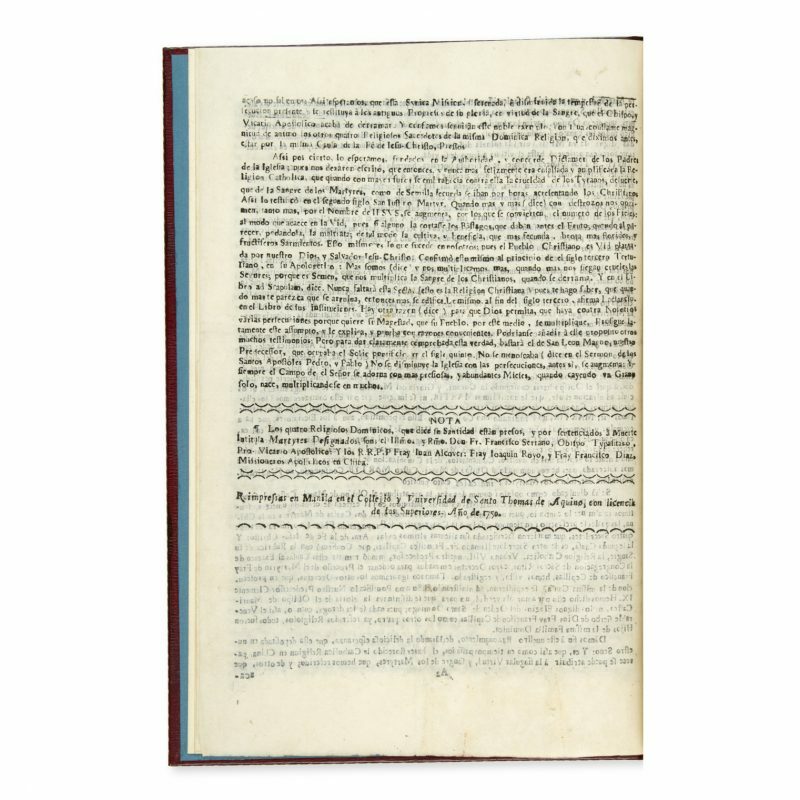 Jose, Impreso, 603; Pérez-Güemes, Adiciones y Continuacion de “La Imprenta en Manila”, 540; not in Pardo de Tavera, Retana or Streit.